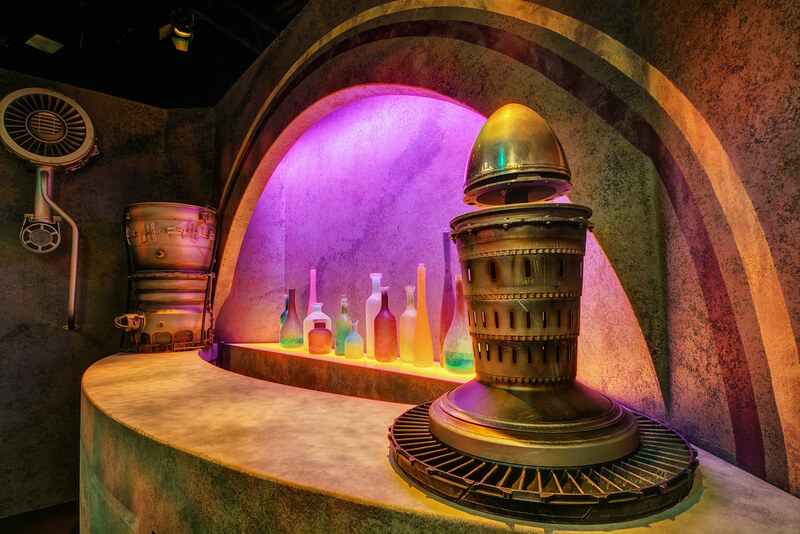 The new Star Wars Launch Bay offers a small taste of what’s to come with Star Wars Land, and this little corner has me already salivating for whatever the eventual cantina restaurant there may offer. Fun Fact: The processing work on this photo was done to the sound of Figrin D’An and the Modal Nodes’ smash hit single “Mad About Me.” Go look it up! This entry was posted in Tomorrowland and tagged cantina, Star Wars. Bookmark the permalink.